Ultherapy is a non-invasive procedure that uses safe, time-tested ultrasound energy to lift and tighten the skin naturally – without surgery or downtime. FDA cleared, it lifts the skin on neck, under the skin and on the eyebrow. Improves the appearance of lines and wrinkles on the décolletage. Ultherapy can help you achieve a fresher, more youthful look from your brow to your chest. Ultherapy treats the deep layers of skin tissue without disturbing the surface of the skin. Call us for your free 15-20 minute consultation and more information! AKA Collagen Induction Therapy or Skin Needling. A safe, chemical-free method that triggers production of new collagen. As we age, our skin loses elasticity because of the loss of collagen and micro-needling helps stimulate the skin to produce new collagen and elastin. Call us to get more personal, specific information on the area(s) you want to improve! Quote on price, amount of sessions and length of session(s) will be given. To find out more about micro-needling, keep your eye out for our post that will be up soon. Please feel free to contact us to find out more information in the meantime. This treatment gives a gentle and superficial exfoliation that’s ideal for skin rejuvenation and removal of dead skin cells. It provides a softening of general roughness or thickened patches of skin refinement of the appearance of pores, fine lines, and stimulates collagen formation. This painless, affordable treatment has very few side effects and is effective on all skin types and colours. No need for anesthetics to effectively help your skin look younger, healthy and glowing. Best part? You can go back to your daily routines immediately after treatment. Call us for more information on this service as well as quotes. We’ll have a post up shortly about microdermabrasion, but in the meantime, please feel free to call the spa to ask any questions. At Balanced Life, we have a variety of different forms of Botox available for clients to choose from to achieve the look they want. Botulinum Toxin A (BTX A) which is more commonly known as Botox Cosmetic, Xeomin Cosmetic and Dysport. They help fight against wrinkles and is a staple in any anti-aging aesthetic program. These wrinkle relaxers last 3-4 months. Restylane .This form of fillers adds volume and fullness to the skin to correct any wrinkles or lines. This is also a perfect way to add fullness and definition to the lips and maintains results for a long period of time. Juvederm is a gel filler used to refresh your appearance. Smooths away unwanted lines and brings back the natural contours of your face lasting between 1-2 years, depending on what is best for you. Natural results are instant so you can enjoy the benefits immediately. We also offer Voluma (2 years), Vobella Lips (1 year), Volift (18 months), Ultra Plust (12+ months) and Ultra Lips (9 months) all at $650. Clinical studies prove the lasting impact of a Restylane Skinboosters treatment with improvement in skin elasticity of the face and hands for up to 12 months after the initial treatment. $500 per or 3 at $400. Our nurse practitioner, Cheryl, has extensive experience in injectables. She’ll make you feel at ease and answer any questions you may have about your procedure(s) of choice. Check out our blog post here describing the different types of fillers we have! IPL tightens the skin and is great for sun damage, brown pigmentations and scarring! 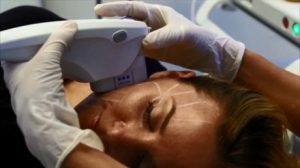 A Carbon Peel Laser Facial is an effective solution that helps treat a number of skin concerns, including skin texture and tone, wrinkles, black heads & white heads, acne & acne scarring, collagen production and some forms of pigmentation. Using laser energy with long wavelengths that penetrate deeply without injuring the top layer of skin, the deep dermis is stimulated to produce natural collagen and other vital proteins. This results in the resurfacing of your skin, giving it a healthy and youthful appearance. *when purchased as a 3 or 6 pack, further discounts applied.